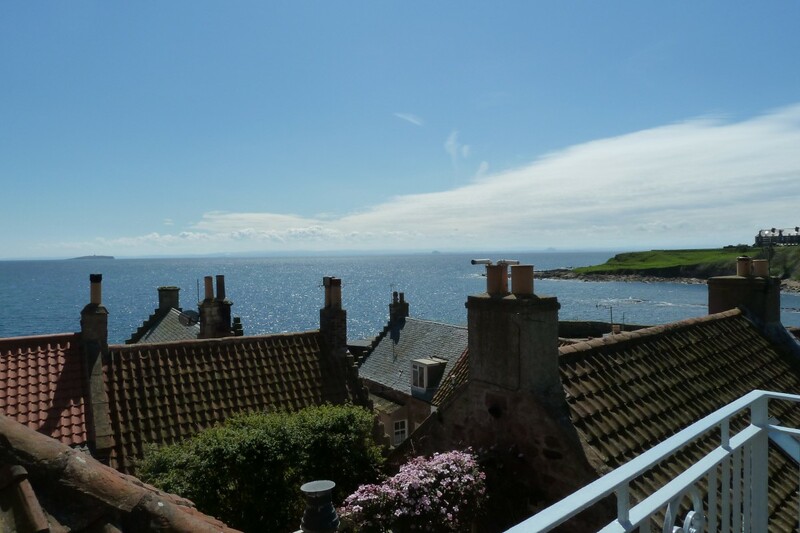 21 Shoregate is a cosy and stylish 18th century fisherman’s cottage just a stone’s throw from Crail harbour in the heart of this ancient village. The cottage sleeps up to 4 people. The master bedroom has a super-king bed, while the second bedroom has twin beds that can convert to a super-king bed on request. All our bedding is pure Egyptian cotton from The White Company. Soap, shampoo and bubbles from Arran Aromatics are provided in the bathroom, together with thick and fluffy White Company towels. We think it is important that you feel welcome as soon as you step in the door. In all seasons of the year, the wood-burning stove will be laid ready for your arrival, and you will find fresh flowers (from the garden in summer) and a basket of delicious Scottish groceries to get you started. Perfect for a coastal summer break, the cottage also offers real cosiness in the winter. Whether you are planning a romantic long weekend or some quality time with the family, the peace and seclusion of 21 Shoregate offers a respite from busy lives. 21 Shoregate is included in Alistair Sawday’s Special Escapes guide. Click on the Sawday’s logo to see our review.